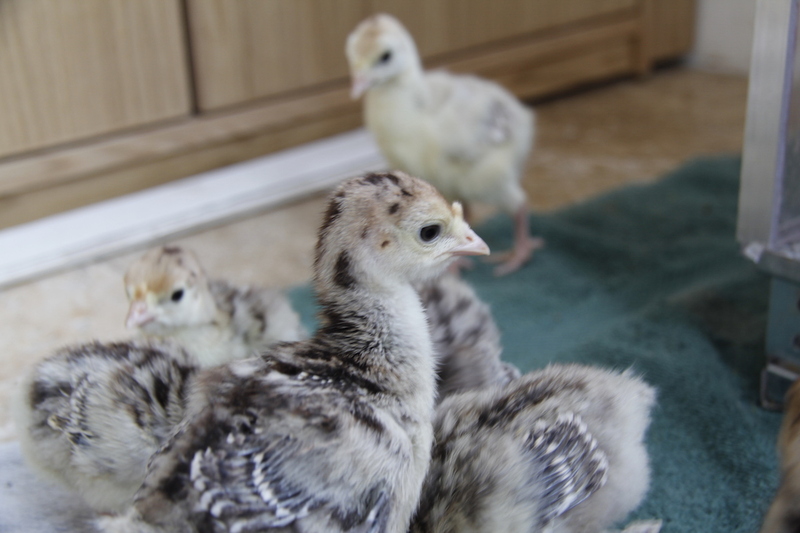 So, it turns out that six of the rescued turkey eggs hatched in the incubator. 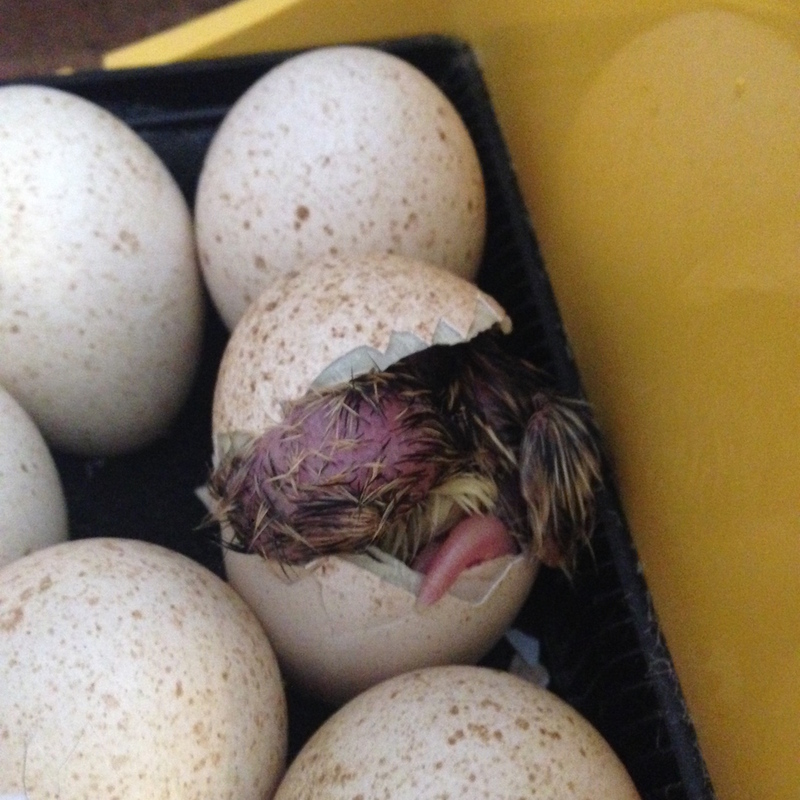 They hatched over a period of about a week or so and only a couple needed a hand. 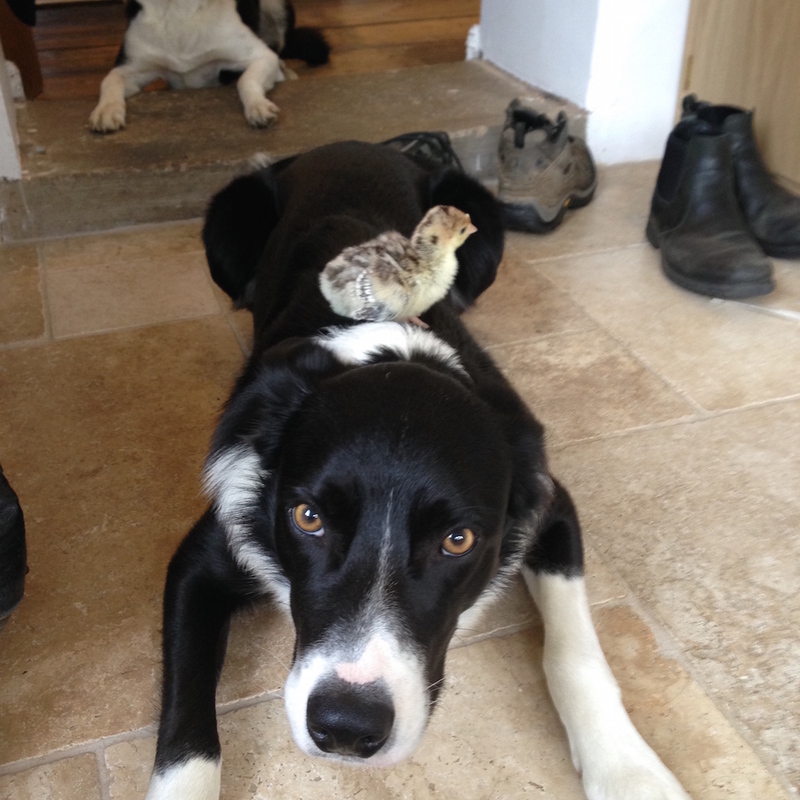 I found the light coloured chick underneath one of the other hens and quickly nabbed it. 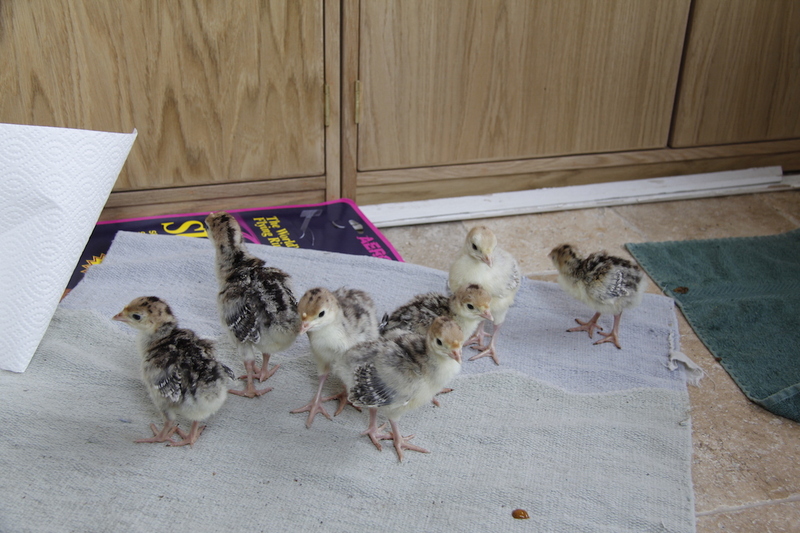 They are all doing well and currently living in the brooder in the front porch although every now and again I let them out for a play. 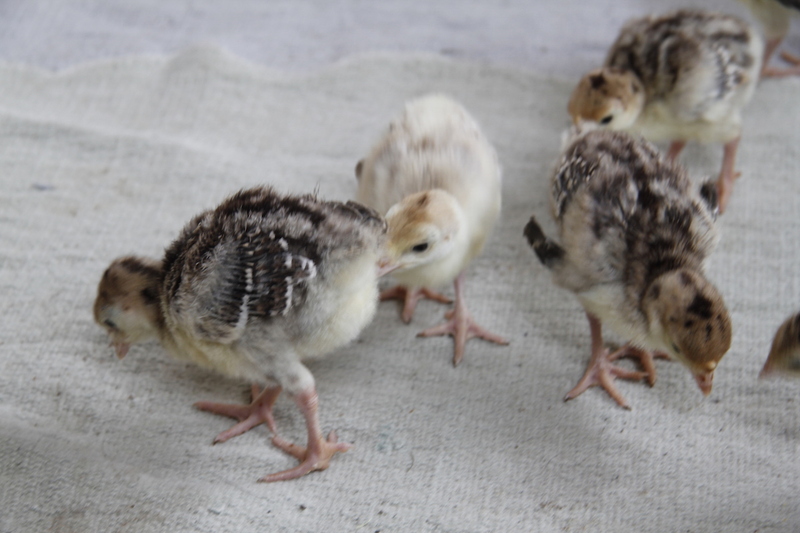 Yesterday, was full of tapping and peeping as five turkeys hatched and two of the Ixworth eggs that I thought I had compromised in terms of turning and humidity when I put the turkey eggs in the incubator. 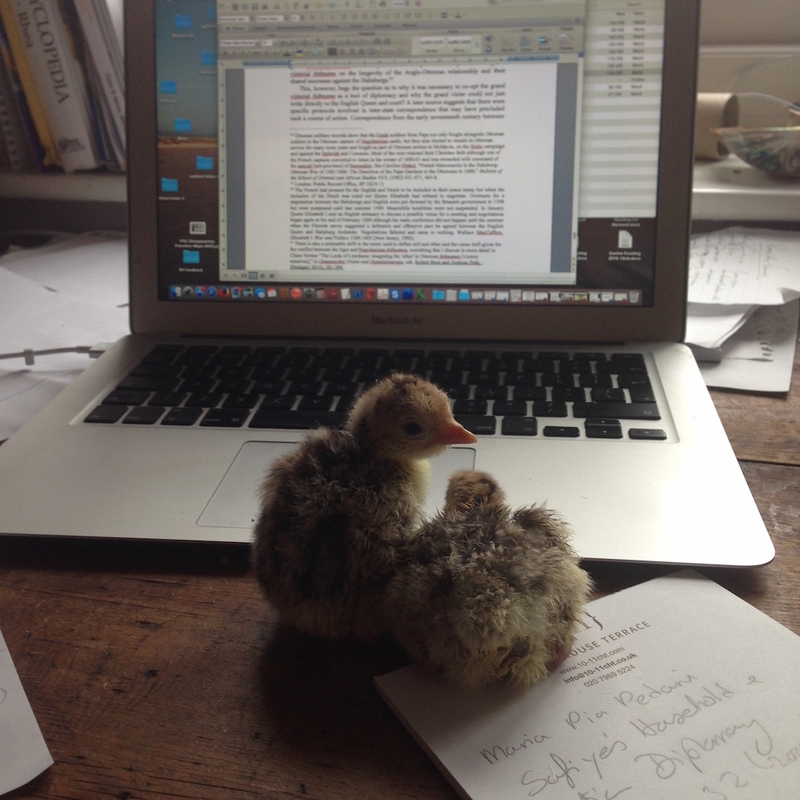 I was trying to finish a rewrite of an article, but kept getting distracted by these cute little peepers. 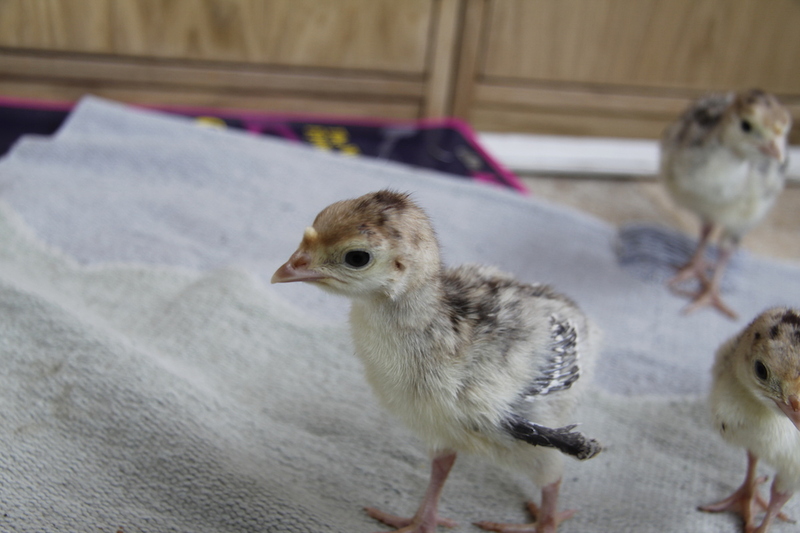 So far today another three turkeys have hatched. 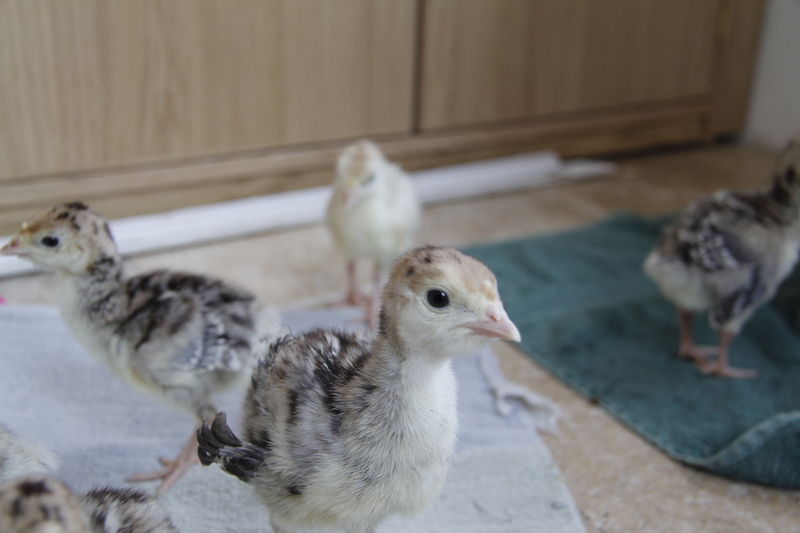 I am away for work for a few days, but on Friday I will move the bigger turkeys outside into the bike shed with some heat and leave the little ones in the brooder – it is currently getting quite crowded in there. N.B. 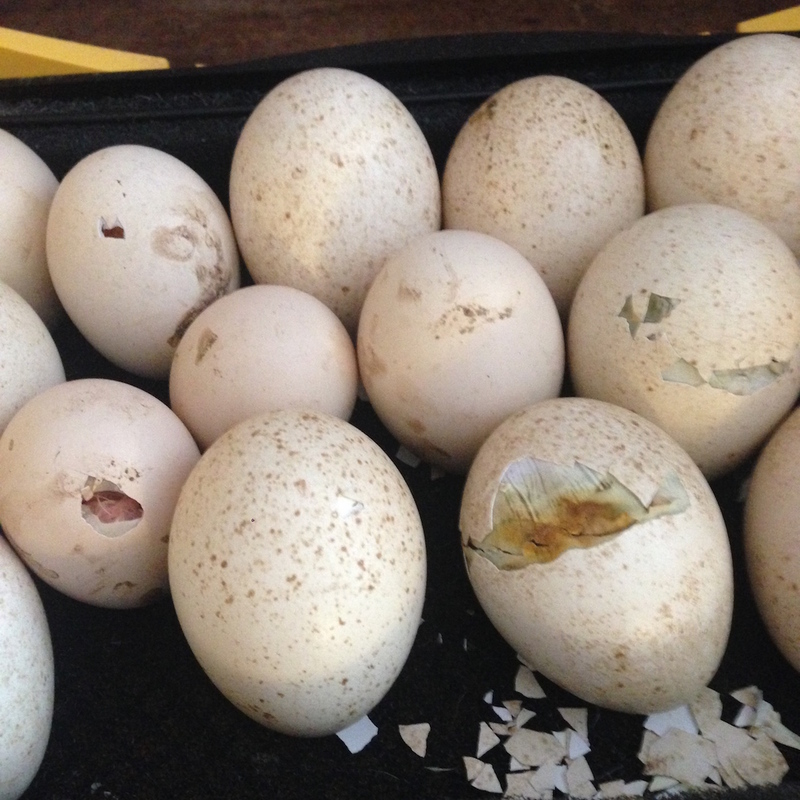 This is another example of how turkey eggs from the same clutch can hatch over a period of at least a week – I need to remember this before I throw out eggs or turn off the incubator. See my post almost exactly a year ago for how I originally learnt this important lesson! Dang, girl. You keep this up and you’ll soon need a full-time egg/chick tender. Remarkable number of chicks and quite a nursery and child care center you’ve managed to create for them. Love the updates. I dream of having tons of money to subsidize the smallholding so you can have all the staff you need to tend to your growing family there. May my dreams come true! Until then, save the ones you can and enjoy all they will give to your life there while they are alive – smiles, laughter, eggs, more chicks, meat for your boys. Why are the one chicks wings different? Is this a way to tell male from female?